It’s war! Time to egg up or get scrambled. Take on your friends and real people all over the world in a fight to be the baddest egg of them all… Welcome to the Eggpocalypse! 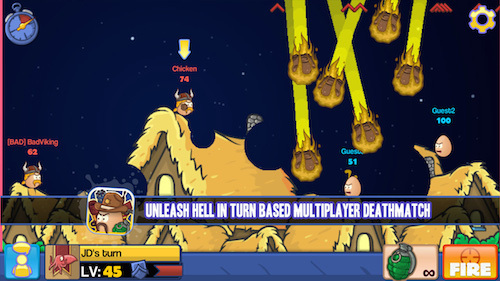 Back bigger, badder and better than before, multiplayer game Bad Eggs Online 2 has arrived on iOS and Android for the first time. Sign up, weigh in and lead your egg into battle. 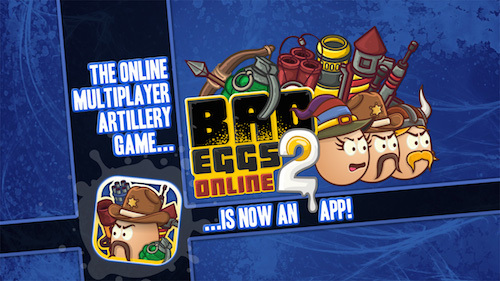 Compete to be the last egg standing in artillery based combat. 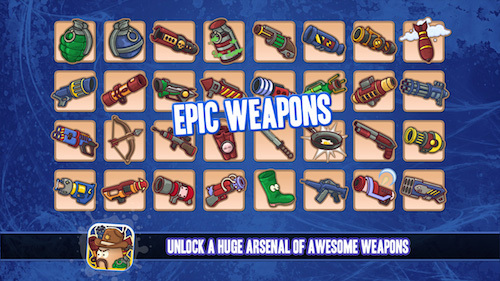 Unleash a huge arsenal of awesome weaponry – from the simple grenade to the epic meteor strike – and crush your foes into yolk. Poached, pickled, coddled, fried, boiled, scrambled, rotten… What level do you egg at? Fully destructable terrains – from pyramids and castles to caverns and haunted houses. Choose from simple 1v1 to epic 3v3 team battles. 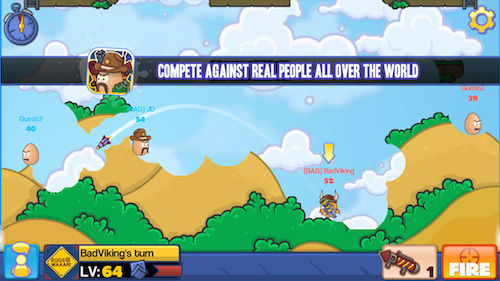 Try out different game modes for a new challenge – wind, bouncy walls and bigger explosions to name a few. Earn XP, level up and unlock new content as you go. Unlock new badges and backgrounds and customise your player-card. 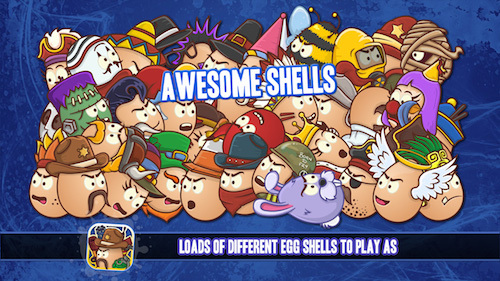 Loads of epic egg shells to play as. Friends lists with space for 30 friends. Find when they are online and invite them to play with you. In game chat for eggy banter.